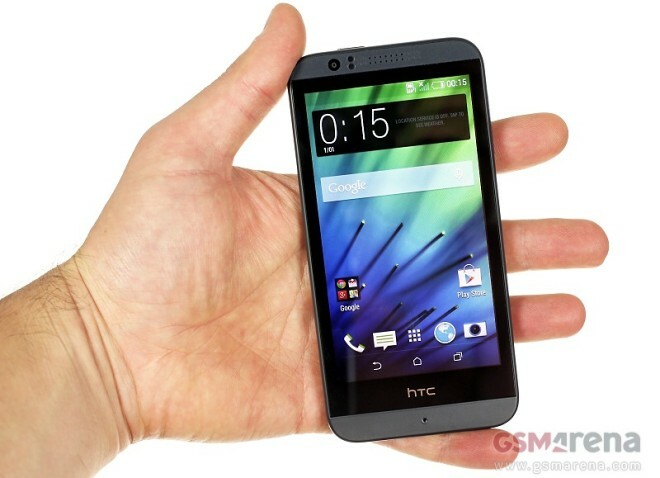 The HTC Desire 510 is the company’s latest price conscious smartphone entry that sits somewhere between entry-level and midrange in HTCs lineup. It features a 4.7-inch display of a paltry 580 x 854px resolution, but is one of the first smartphones to run on Qualcomm’s Snapdragon 410 processor, featuring integrated 64-bit processing alongside 4G LTE technology. Snapdragon 410 was introduced late last year by Qualcomm, and is the first of many 64-bit capable processors that the company hopes will lead the transition to mobile 64-bit processing. The Snapdragon 410 in particular is targeted at the sub-$150 price point, set to allow for 4G LTE capabilities alongside dual- and triple-SIM support for emerging markets. Besides the robust processor, the Desire 510 features Adreno 306 graphics and runs on Android 4.4.2 KitKat out of box. 8GB of internal storage, 1GB of RAM, and a 2,100mAh battery round out the specs. In the shooting department, there’s a 5MP camera capable of 1080p video recording, although there’s no LED flash and the front-facer is a measly VGA shooter. From a design standpoint, the Desire 510 features somewhat large bezels around its 4.7-inch display. Navigation buttons are built into the display, so it’s odd to find such a large amount of space particularly below the screen. The material used for the device is pleasantly matted to feel pleasant in the hand and resist fingerprint smudges, although the latter doesn’t apply to the smudge-prone display. The back panel is removable to reveal the user-replaceable battery, where you’ll also find the microSD and microSIM card slots. The user interface features the latest iteration of HTCs Sense 6 overlay, which runs adequately on the quad-core 1.2GHz processor. We’ve made a quick hands-on video highlighting the hardware and software features of the Desire 510. We’re hard at work on our comprehensive review of the Desire 510, so be sure to check back with us soon.